The name Diospyros in context means more or less "Divine Fruit" or "Divine Food" and is an apt description for the wonderful persimmon. Persimmons are one of the most widely planted fruits in the world (the majority of the acreage is is Asia) and are a member of the Ebony family (known for their hard wood: persimmon was used for golf club heads). The American persimmon is native to the east and grows wild from Florida to the Northeast U.S. and has a small fruit with an excellent, nutty sweet flavor. However, if it is eaten unripe, it has alum in the flesh and is very astringent (makes your mouth feel like cotton). We offer a selection of the very best new varieties of Kaki (Asian) persimmons of both astringent (must be eaten soft and completely ripe) and non-astringent (can be eaten hard like an apple with no astringency). Kaki are extremely popular in Asia - they consider them like Americans do apples - a persimmon a day keeps the doctor away! The flavor of persimmons is unique. Non-astringent cultivars can be eaten when still firm/hard and yellow-orange in color, with a crisp texture and soft flavor (great in fruit salads!). When completely ripe and red in color, they have an incredibly rich, sweet flavor. Astringent varieties often have more intense sweet flavor, but must be eaten soft (as we say, in the bathtub!). They are truly a unique and wonderful fruit! We acquired our persimmon collection directly from Japan. My father, Dr. A.T. Wallace, had a Japanese graduate student at the University of Florida that sent the 30 best varieties from the Okitsu Research Station near Tokyo to my father as a gift when he returned to Japan. My grandfather, Dr. Bob Dunstan, grafted them off to wild persimmons growing on our farm and these are the original introductions of some of the best varieties that Japan has to offer. Our collection is unique to American horticulture and we have sold tens of thousands of persimmon trees over the last 30 years to growers all over the U.S. The most common commercial varieties grown today are Hachiya (astringent, conical shape) and Fuyu (non-astringent, flat shape). However, there are excellent new varieties that we offer that have better flavor, or ripen earlier than these varieties. There are several very cold hardy cultivars that can be grown in protected locations as far north as PA and NY, especially in the milder microclimates along the coast. Kaki thrive throughout the South. 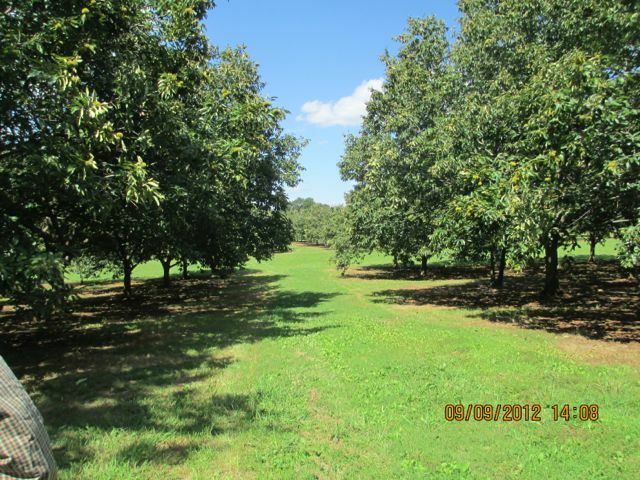 Kaki Persimmons are a profitable orchard crop. Grown commercially in California (primarily the variety Jiro, but sold as Fuyu), orchards of non-astringent varieties can produce yields of up to 10,000 lbs/acre and bring prices of $1.00/lb or more wholesale. Persimmons are fairly easy to grow, with few major pests. Non-astringent cultivars can be harvested while just showing color and shipped readily in standard fruit packing boxes. Even astringent varieties, when picked still hard, will ripen completely on the shelf over several weeks, making it an easy crop to bring to market. "For a supply of persimmons which lasts until harvest the following October, I fill a freezer with the fully ripened Saijo, Gionbo and Hachiya using small sandwich-sized freezer bags. The persimmons are frozen whole after removing the stems. I received wood to propagate persimmons from Dr. Dunstan in the late 1960s." Robert C. Stump, DeRidder, LA, Pomona Fall 2009 Vol. XLII No. 4. We only sell container-grown persimmons. The native American persimmon, Diospyros virginiana, is very deeply tap-rooted and has little side branching, unless grown in a root-enhancing container. Our trees will have a much better transplant rate than field-grown persimmons. Kaki persimmons are one of the true delicacies in the world of growing fruit. Asian cultures have revered this fruit for thousands of years. Now we have the opportunity to enjoy the incredible diversity and flavors of these fruit in the U.S.! Persimmon trees live approximatly 30 yrs. Persimmons tolerate a variety of soils, but like so many plants, they perform best in a well-drained sandy loam of pH 5.5-6.5. Oriental persimmons tolerate a wide range of soil types as long as the soil does not have a high soluble salt level. Pick a planting site with good soil drainage and do not plant in the bottom of swales or areas that stay saturated for long periods of time. Most trees do not grow well in wet soils. Also, avoid frost pockets (bottom of valley) because late frosts can hurt fruit production, especially in northern locations. Prepare the area by removing an weeds prior to planting. This step is often overlooked but is absolutely critical to any successful planting. Weeds and grass steal light, water and nutrients from your trees. Plant your persimmons in full sun in a hole slightly larger than the container it was grown and big enough to spread out the roots. Roughen up the sides of the hole to encourage the rots to grow into the surrounding soil. (A smooth surface can keep roots circling round and round.) If planting in heavy clay soils, break up the ground under and around the hole, so that the tree is in not planted in a bath tub. Roots need oxygen to be able to breathe. Set that soil aside and mix it 50/50 with either aged compost or aged manure. Remove the plant from the pot, gently loosen the root ball and place in the planting hole. To avoid burying too deep, Make sure the graft union is a few inches above soil level. Bare root trees will have a noticeable color difference between the roots and the trunk. Plant at the depth of this color difference. Set the tree in the middle of the hole. Using some soil, secure the tree in a straight position. Fill the planting hole with the native soil and mixed soil with organic matter; gently tamp it in.e recommend creating a water-holding basin around the hole and water the trees in thoroughly at planting. Remove the berm at the end of the second growing season. Water slowly at the drip-line. Water in thourghly making sure there are no air pockets around the roots. Air pockets prevent roots from growing into the soil around it. After the water has soaked in, spread a protective layer of mulch 2-4" deep around the trunk pulling the mulch a few inches away from the trunk to keep the moisture from accumulating next to the bark. Choices for mulch, leaf litter, hay, shredded or fine bark, or pine needles. Your climate plays an important role in whether a persimmon tree will produce fruit or even survive. We have persimmon trees that grow well between plant hardiness Zones 6-9. Before ordering a variety, be sure the trees recommend hardiness zone range includes your area. Space your persimmon trees 20 to 25 feet apart or 12 feet from a structure. The best time to fertilize fruit trees is during the growing season, starting in early spring (after bud-break) and finishing by July. Fertilizing too late in the season can cause trees to grow when they should be shutting down for the winter. This tender new growth, when pushed too late in the season, is also more susceptible to winter injury. Use a balanced time released fertilizer such as Espoma Tree Tone (Organic). Spread the fertilizer evenly under the entire canopy of the plant avoiding a 5-inch area around the trunk. Water or rake in. For young trees (years 1 and 2) in Zones 8a-9, fertilize 3 times each year late February, late May and late July/ early August. For plants further north (Zones 6-7), fertilize in March or after bud break. This will likely cause fruit drop, but growth is more important at this state in their development. Never fertilize after after August (June in Zones 6-7) as this will promote new growth in late in the year which will be subject to freeze damage. On the third year, switch to a low nitrogen fertilizer (first number must be less than 5) and apply only in late February (Zones 8-9) or March (Zones 6-7). The first year is a critical time for the establishment of a new persimmon. Water thoroughly twice a week on light soils and once a week on clay soils. Soak the entire root system deeply. Persimmons should receive at least 1 inch of water each week for best growth and fruit production. Water regularly, especially during dry periods. Fruit may drop prematurely if insufficiently irrigate during dry spells. Keep an area approximately 4 fee in diameter around the persimmons clear of grass and weeds to minimize competition for water and nutrients. Prune young trees in winter to a modified central leader system with six to eight widely spaced scaffold branches around the trunk to support future fruit loads. American persimmons tend to sucker heavily, so plan to cut suckers away every year. Once persimmons reach bearing age, little pruning is necessary. Thin fruits to one to two fruits per shoot, choosing the ones with the largest calyx. Kaki persimmons fruit ripens from late August until early December, depending on the variety, climate and region. Fruit is harvest by using hand pruners, when it has attained the proper color, but is still firm. Fruit then is ripened at room temperature, or can be stored under refrigeration. Harvest non astringent varieties, when they're still firm but have full color. Harvest astringent Asian varieties when the skin of the fruit turns translucent and the calyx readily separates. Or leave either kind on the tree to ripen into the winter as long as temperatures don't get below the mid-20s. American persimmons drop off the tree when ripe. If wildlife begin to eat the ripening fruit first, pick the astringent varieties when they're just beginning to soften and place them in a plastic bag with a few bananas for 7 to 10 days in a warm room. The ethylene gas given off by the bananas will ripen the persimmons.